It has been completely renovated to provide guests with the most comfortable relaxing and enjoyable visit possible, whilst retaining all of Bothy Cottage's original charm. Each bedroom is fitted with ensuite facilities. 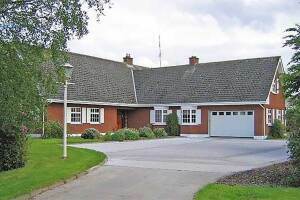 Bothy Cottage is conveniently located less than 1 mile from Rathcore Golf Club parkland course. Rathcore is also the home to Boggans a thatched pub dating back to the 1792. Fishing is also close at hand with the Boyne and Blackwater rivers running through the nearby villages of Longwood and Enfield. There is also Hare Hunting available with the Tara Harriers and we would be pleased to accommodate your horse here at Bothy Cottage or organise a horse for you to hire. 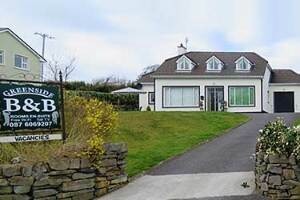 We look forward to meeting you soon at Bothy Cottage, where the warmest of welcomes awaits you and of course our traditional Irish breakfast won't leave you disappointed. 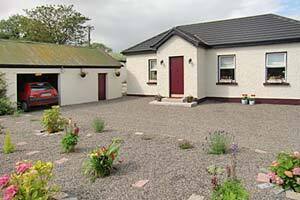 Birchwood Bed and Breakfast is a modern farmhouse, at Balrath, Kells, in the heart of County Meath, Ireland. 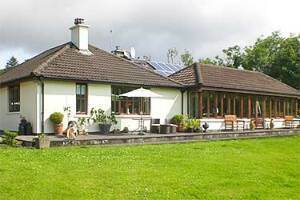 Run by Tom and Marie Clarke, Birchwood offers a homely, friendly and relaxed atmosphere. We pride ourselves on the personal service and attention we offer to all our guests. 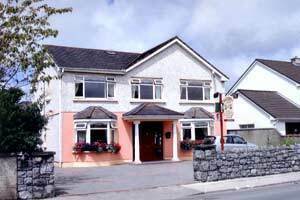 Birchwood is Bord Failte Approved 3 - Star B&B. 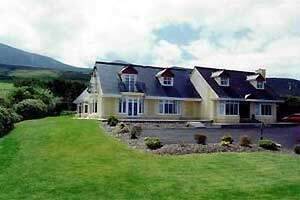 Located conveniently, just a few minutes from Kells town with spacious and secure car parking facilities on site. 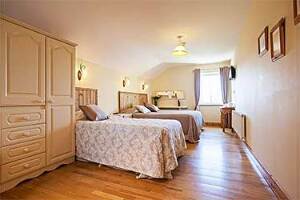 County Meath offers many historic and scenic attractions making Birchwood Bed and Breakfast an ideal stop for visitors touring Ireland or Irish weekenders or holiday-makers alike. 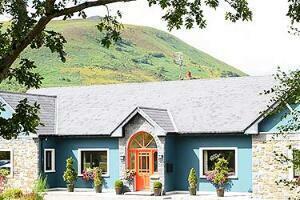 In the heart of Dingle town, Archway Lodge is a modern, beautifully decorated and well-maintained bed and breakfast. 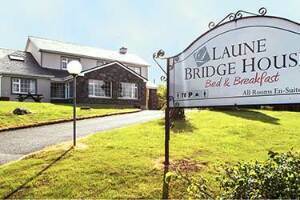 All the bedrooms are en suite with a shower, television, hairdryer and tea and coffee making facilities.It is an excellent base for touring the dramatic and wild Dingle Peninsula with its cliffs, long sandy beaches, sea and bird life. There are good surfing beaches on the north and west coasts as well as other water sports available.Some of the local attractions include Irelands second highest mountain (Mount Brandon), Fungi the famous local dolphin, the Blasket Islands, and the Dingle Aquarium.For the active there is the Dingle Way(a 179km walking trail), a leisure centre, bowling alley, golf, horse riding and mountain walking.Dingle offers fine restaurants(all offering fish landed in Dingle harbour), traditional Irish music evenings in many pubs, gift shops and art galleries selling paintings and sculptures by local artists. Dingle - what more could you ask, the perfect holiday destination. 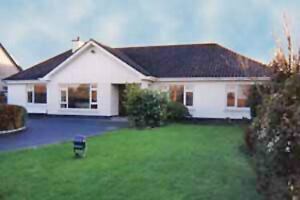 Bungalow on Limerick - Dublin Road with pleasant nature gardens. 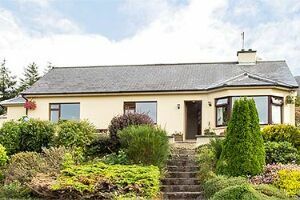 Rated 91.8% by 15 out of 15 visitors, this property is ideally situated as a stop over for someone travelling from the Southwest to Dublin and is also convenient to University of Limerick. 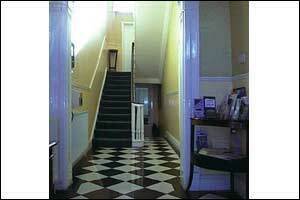 All rooms are comfortably furnished with guests requirements in mind. Adjacent to shops and restaurants. For those with an early start, an early breakfast can be arranged. For those who like to go walking, Clar Glens and Glenstal Abbey are all within a 20 minute drive.